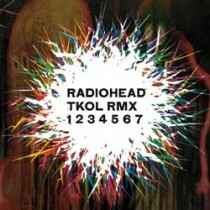 Throughout the summer of 2011, Radiohead has been releasing a series of seven 12-inch singles featuring remixes of tracks from its current album The King Of Limbs by electronic artists and producers who have been exciting and inspiring the members of the band. The 12-inches, released to independent retailers every two weeks since July 5, will be collected on the 19 track double CD TKOL RMX 1234567. The double CD/download, which brings together all 19 remixes in chronological order, will be released on tbd Records on October 11.